I don’t think it’s possible to describe how bad the Dominos ordering process is. A lazy Sunday evening, and we ate healthy at lunch, so decided to order Dominos. The cheese-stuffed crust is pretty good. 1. Search for dominos on laptop. Â Voucher code pops up. Know there will be problems later, so open a new tab. 2. Open Dominos website. The big button says Pickup or Delivery. Choose Delivery. 4. Login. Choose Delivery again. 5. Despite logging in, need to select my address from the dropdown. There’s only one value, for goodness sake! 6. Asks if I want to start with the same order as last time. Knowing that I do in fact want the same thing, and will use the same voucher, I select that order. 7. Exorbitant amount displays. Enter voucher code and apply. No change to exorbitant amount. 8. Go back to other tab and check the voucher code. Notice the advertising for dominos apps. 9. Go to phone. Â Find dominos app. It contains a previously abandoned order (due to terrible ordering experience). 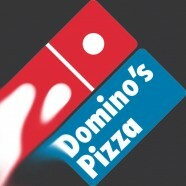 Dominos app does not work with the Android “back” button. You have to start a new order. Stuff that. 10. Download the Dominos Offers app instead. Â Eventually navigate to my suburb and it displays the same special as online. But with a different offer code. 11. Go back to web. Enter the new voucher code. No change to exorbitant amount. 12. Try entering the original voucher code for the third time. It adds the offer on top of my current order, despite the order containing the correct components Â from a couple of weeks ago. 13. Manually delete the extra items from order. 18. Finally arrive at order screen. 19. Pay through PayPal. OMG it worked. 20. Wait for order. Â Do not have high hopes. Last time they brought somebody else’s order and had to return it, adding another 20mins to the total. Â I wonder if the correct order will arrive this time.